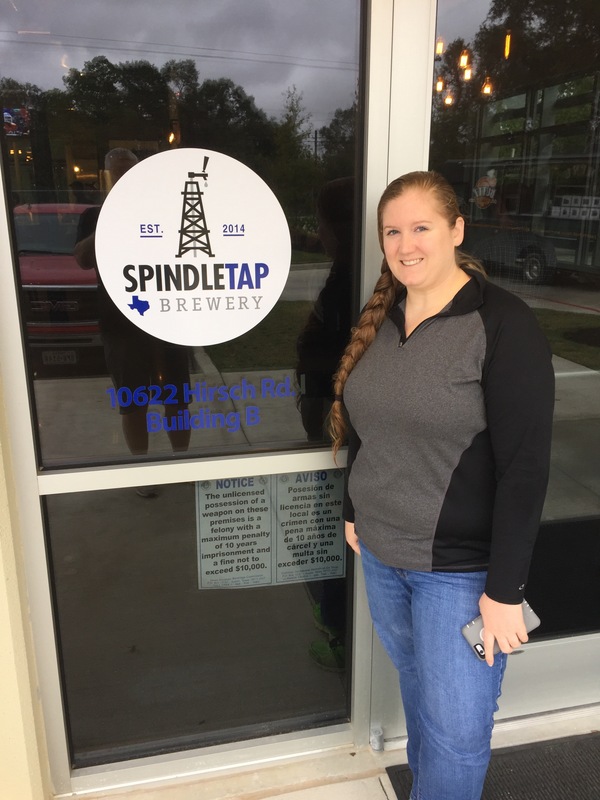 Spindletap Brewery – Now Open! Saturday November7tg was the official opening date. Cloudy and misty day did not keep folks away. The owners are an interesting bunch, converting friendships into business relationships. Kind of a cool story if you take the time to read the back story. The building housing the brewery is an industrial type warehouse and that theme carries through to the decor and layout. 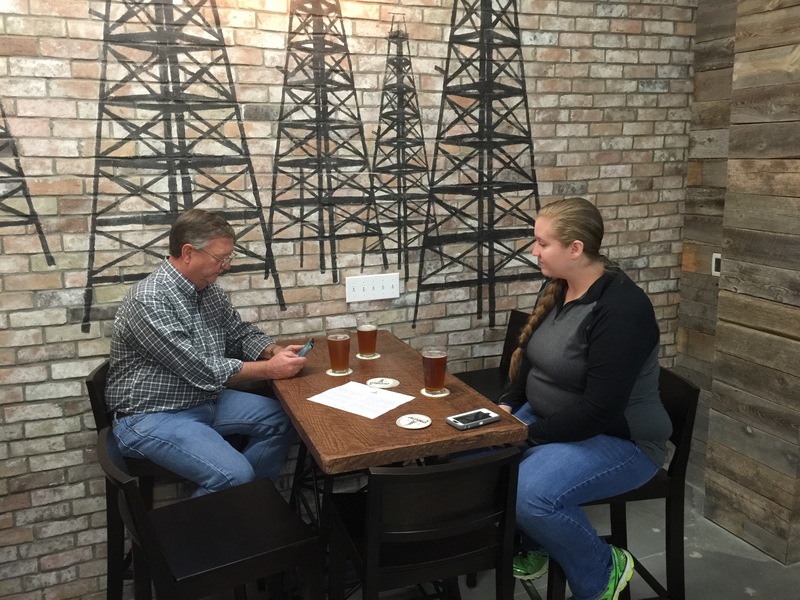 The brewing room is spacious, well laid out and bodes well for future growth. Canning line has yet to be installed but it will not cramp the area. 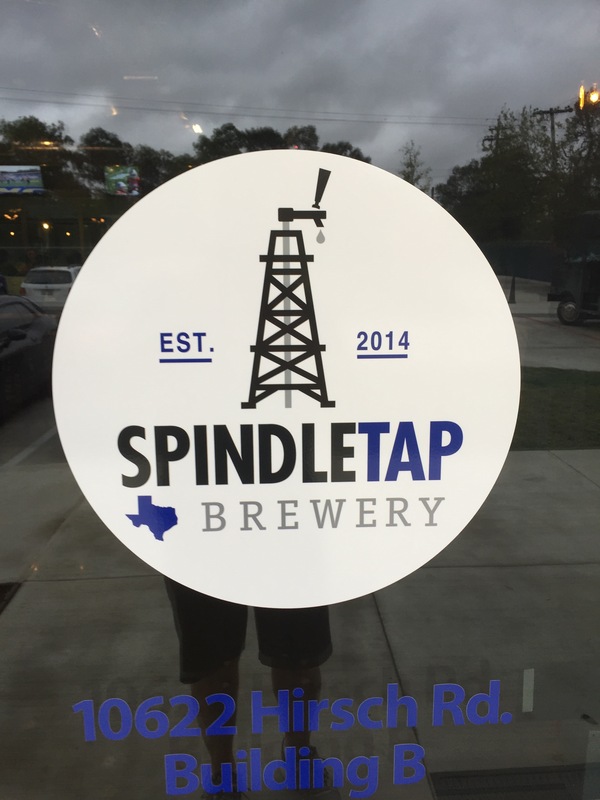 The name plays homage to a nearby giant 1902 discovery called “Spindletop” and a reference to the wood handles used in days of yore on beer barrels. Smile Lisa… She always does and it is a beautiful smile. Let’s go inside now. Fresh, clean and spacious! Look closely and you will see the steel Derrick constructed stools! 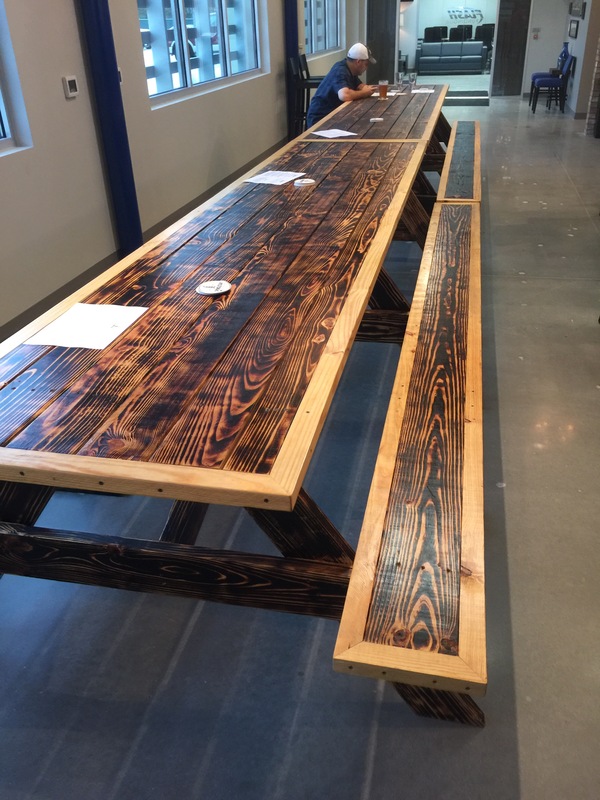 I love the look of the long tables…. I think Lisa wants me to build some. I did manage to get a taste of the full suite! 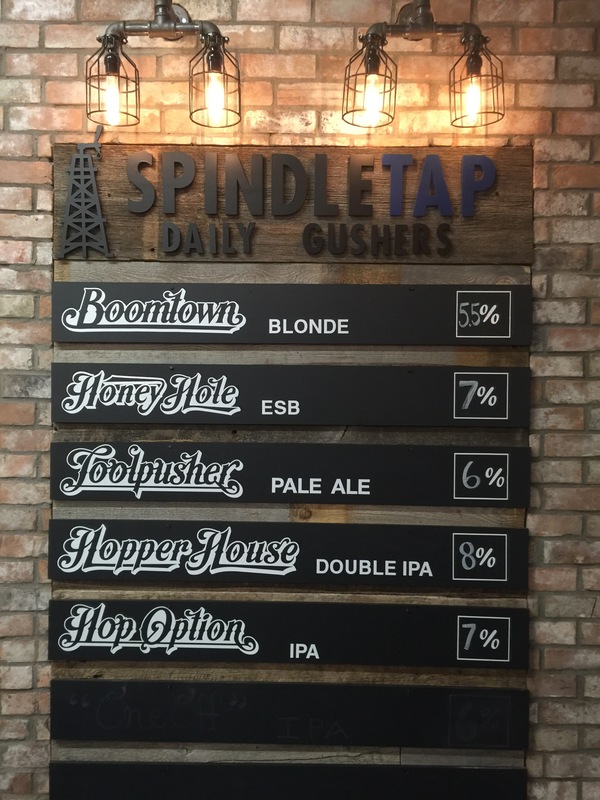 I really enjoyed the Hopper House Double IPA and the Honey Hole ESB. Not a bad beer in the bunch, all were flavorful and very well crafted. 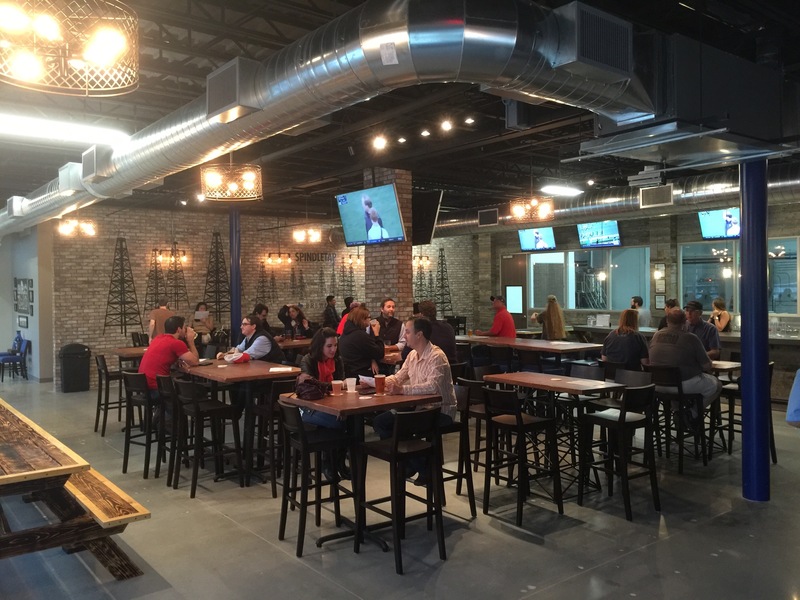 This is a place to take a big group of beer lovers….. You will not be disappointed. Partners in crime or is it in “beer tasting”? Lisa and John enjoying the atmosphere.